Warming and engaging, this first book evokes the realm and folklore of Scotland. The author uses the stratagem of time traveling to conceive a vivid and likable female protagonist dealing with unforgettable characters in a richly textured historical environment. 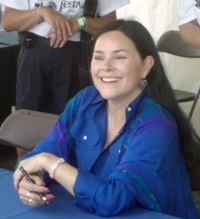 The hallmarks of Diana Gabaldon’s work in an unusual and compelling story of adventure and love bring two remarkable characters, Claire Beauchamp Randall and Jamie Fraser together with unique storytelling. This is the episode that started it all. While in a second honeymoon, an English couple travel in the Scottish Highlands in 1945, after a long-term separation during the Second Great War. Claire is mystically catapulted to the old 1743 Scottish Highlands and faces an evil character from her husband’s ancestry facing a clan that ends up adopting her. Claire nurses gallant young highland’s soldier, Jamie Fraser. A passionate and adventurous romance begins on the verge of the second Jacobite uprising in Scotland. Her bravery and skill as a nurse win the Scots’ grudging respect. 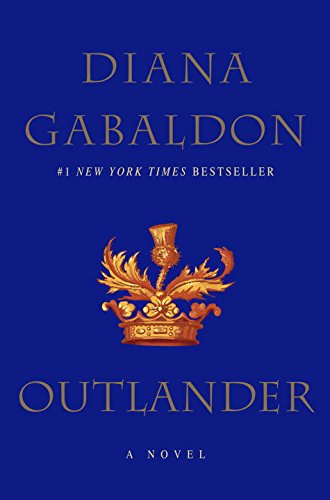 This Outlander by Diana Gabaldon book brings us Swashbuckling perils involving a terrifying villain, scenes of the Highlands’ daily life, and piercing emotions blend with Scottish banter and humor to produce an unforgettable story. Eventually, she finds a way to return home and must choose between her distant memories of the future and her happy, uncomplicated and adventurous life between the old Scots. Her abilities and knowledge and witty sensibility are not enough to make a definitive and easy decision. Recommended for Adults and Teenagers. Please, leave a comment about this Outlander by Diana Gabaldon book review. The series has been adapted to television.